What do you think? 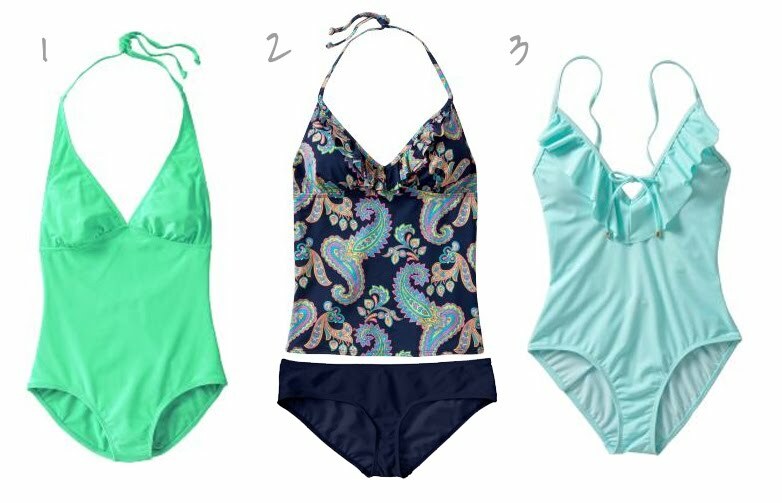 Are you guys as interested in one pieces this season as I am? Ahhh, I love the ruffled one piece. Holy cute. As I am currently prego, however, that one probably wouldn't work for me. :) I have some tankini's that should do the trick for the summer though. Super cute suits! I love em! I think those one pieces are adorable, but one piece swimsuits never work for me because my torso is unproportionally long,I guess. I'll stick with tankinis. i ordered two tankini's from there just this week. not sure what the quality will be though. I have been thinking about getting a monokini or a tankini.. it says that for someone like me who is very unfortunate when it comes to height- I am really short, that the monokini is best to wear as it elongates my body. Hmmmmmm... I should try and see! I love the ruffled swimsuit from Old Navy!